is done, published, ready and waiting for you! This book is the culmination of over 20 years of my work with cities, regions, governments, nonprofits and developers all over the country. It gives you a clear, no-nonsense run down on why it is exactly that our public meetings so often end up feeling so miserable — for everyone involved. 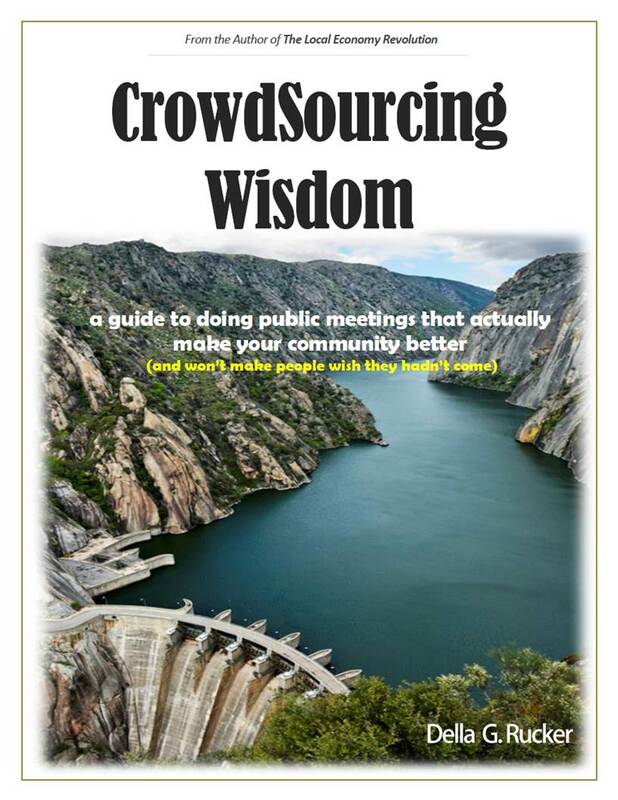 It then gives you a step-by-step process for designing and conducting public meetings that actually generate wisdom, and it concludes with tactics for managing confrontational public meeting situations in a way that’s fair to everyone involved. If you’ve been doing public engagement for years, I think you’ll find this book both useful and refreshing. If you’ve never run a public meeting before, you’ll find that this book gives you a set of tools for doing that better — tools you probably didn’t even know you had! And if you’re frustrated with how your community does public engagement, or you’re looking for a way to start overcoming the build-up of frustration and apathy that’s preventing your town from finding new solutions to your tough issues, this book will give you the first steps of a new way forward. Pretty good deal for a few bucks. And if you want a PDF or an EPub file (the kind used by Apple products and NOOK), you can get those right here. Of course, reading a book about how to do something isn’t anywhere near the same as trying it out yourself. I’ll be giving workshops on how to Crowdsource Wisdom in different places over the next few months. If you’d like a workshop for your organization, staff, conference or upcoming meeting, send me a note at della.rucker@wiseeconomy.com. In-person and online video training is available.